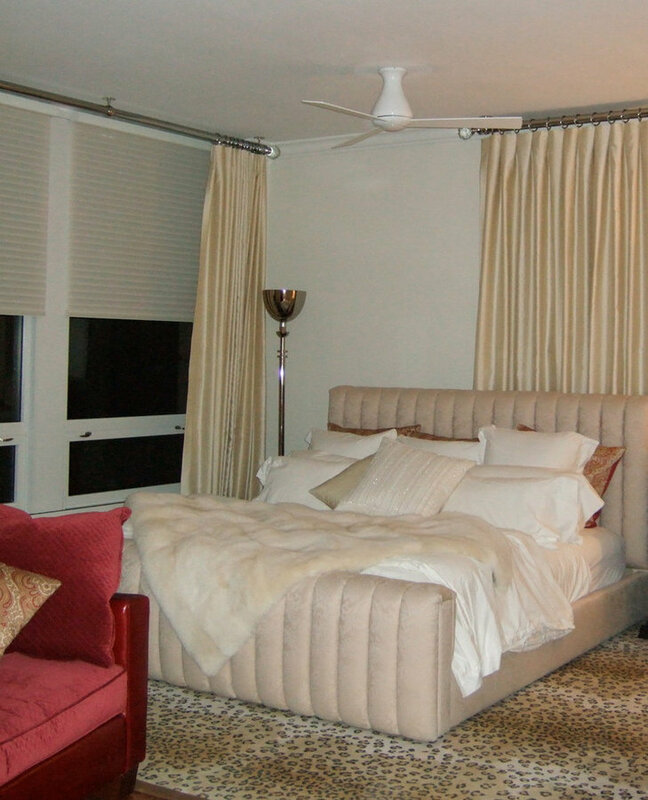 Custom Kingston Valance with contrasting banding on lower edge. Non-functioning side panels with contrasting leading edge and tassel tie-back. 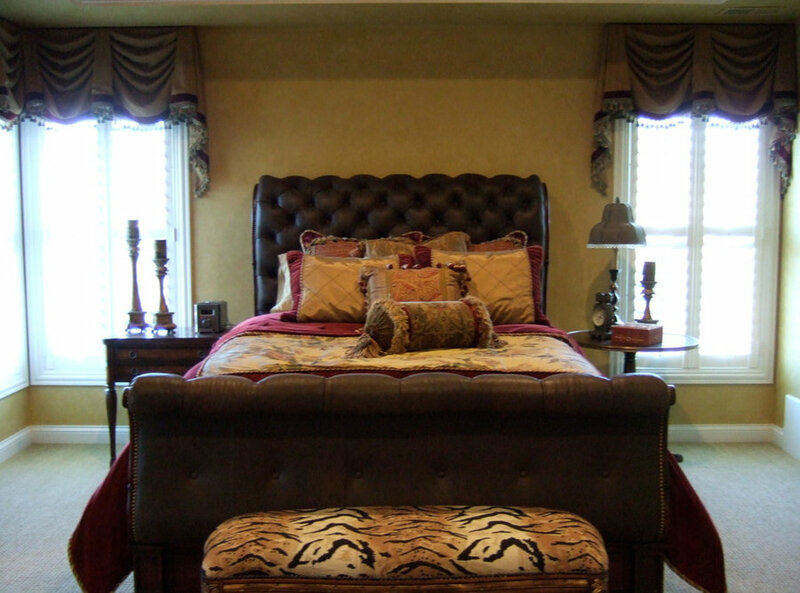 Wood Frame Bed with upholstered insert at head and foot board, nailhead detail. 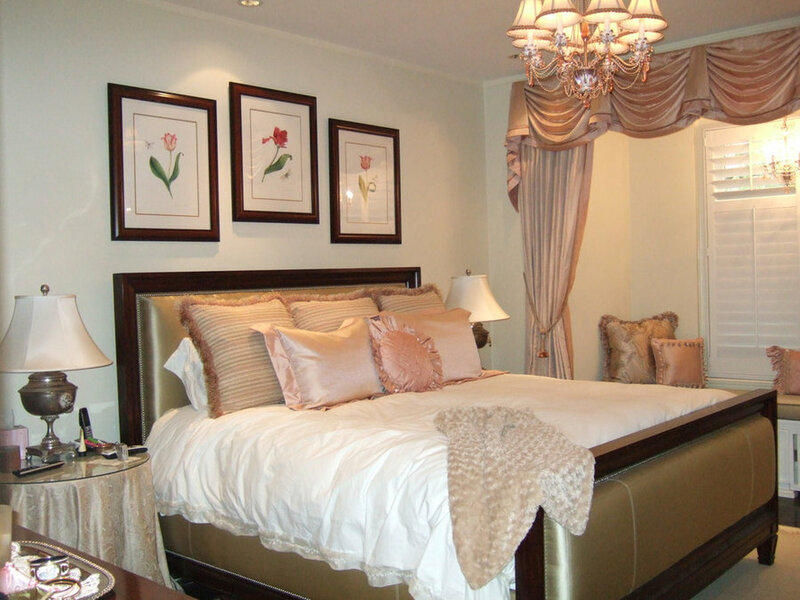 Bedding: White Duvet cover, euro shams with brush fringe, queen shams with mitre flange, pillow cases and decorative round pillow with crystal trim. 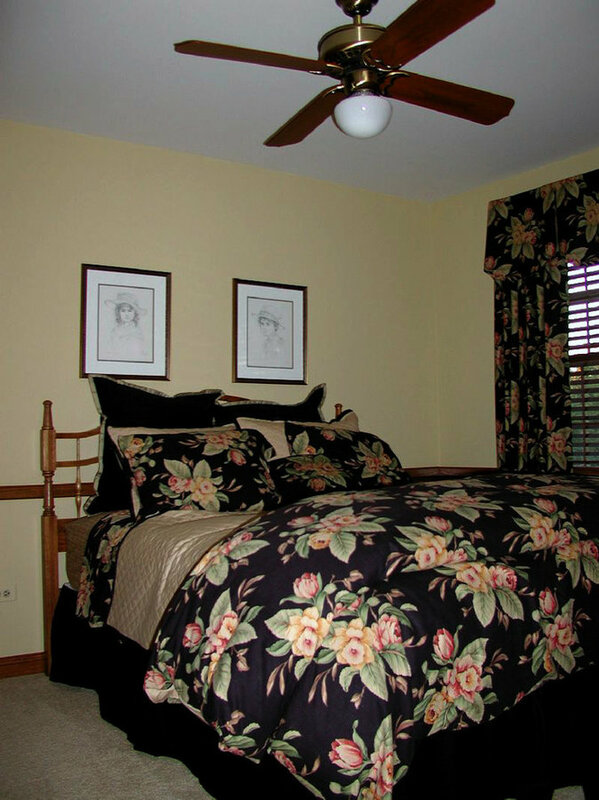 Bedding: Floral duvet cover with reversible contrasting back. 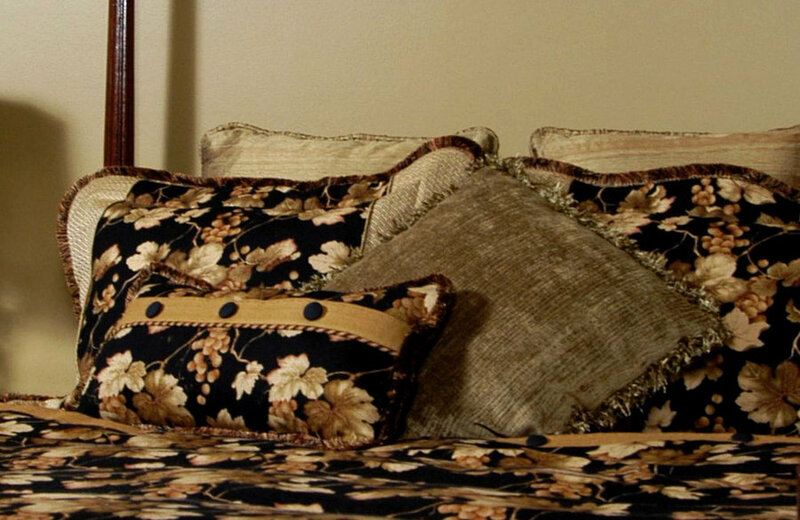 Decorative bedding pillows with cording, tassel trim pleated velvet borders. 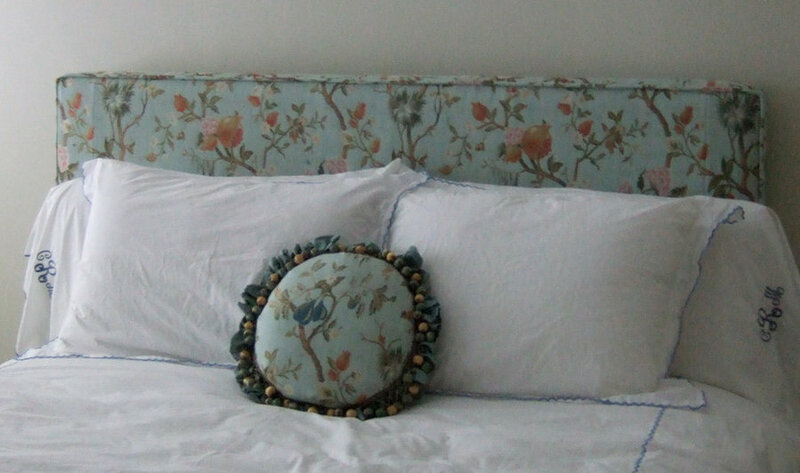 Upholstered headboard and frame Bedding: Floral duvet cover with reversible contrasting back. 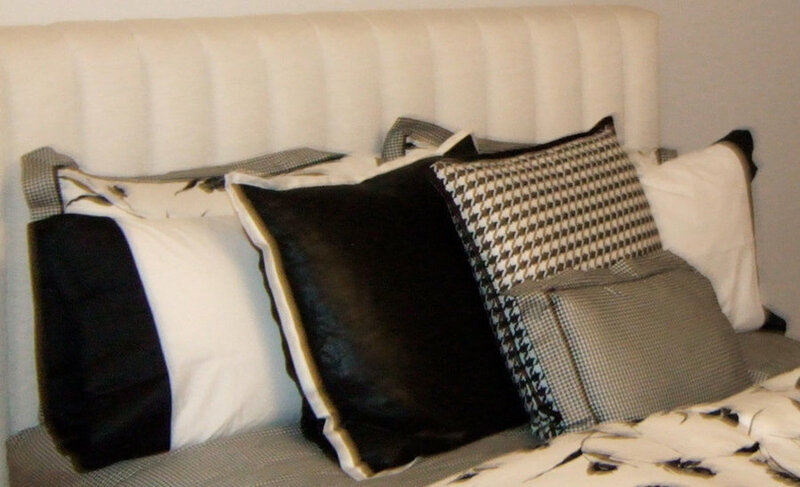 Decorative coordinating black and off white bedding pillows with cording, mitre flange borders. 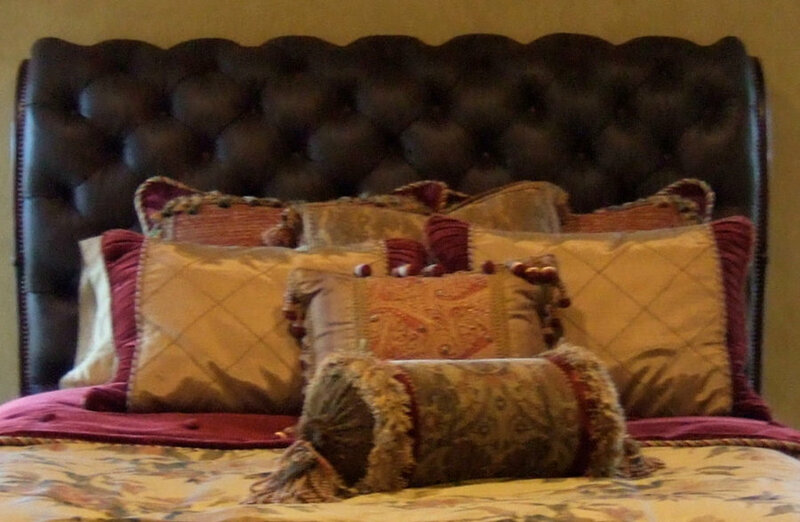 Custom fabric headboard with self-cording around edge of frame. 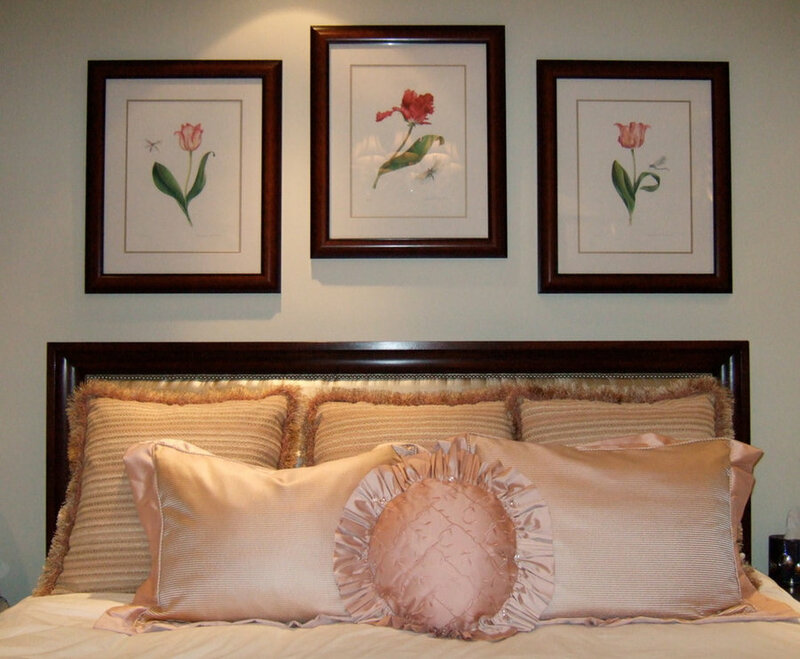 White linen bedding and decorative round pillow to match headboard. 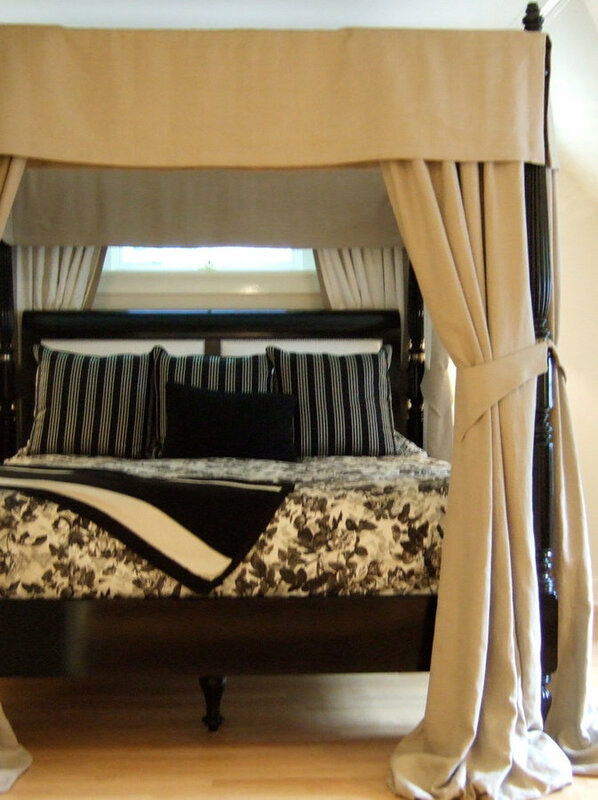 Upholstered head, foot and side boards bed in off-white suede. 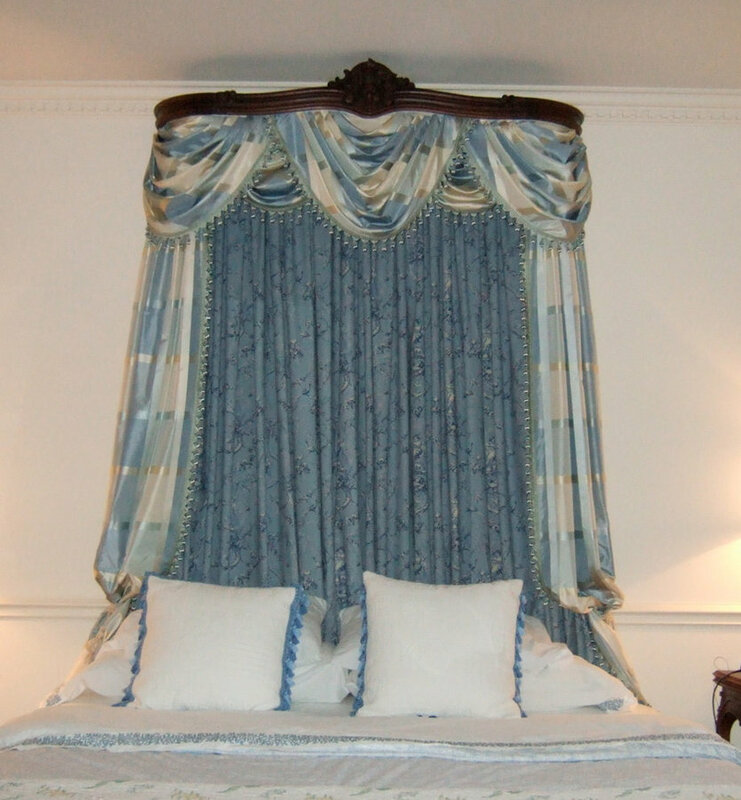 Tone on tone french pleated panels, lined and interlined. Polished chrome rod, rings and brackets and crystal finial.